The answer is now. In other words “if you are ready, the trucking industry is ready”. Purchasing your first truck can be very nerve breaking. After all, it’s a huge investment and possibly the second most expensive thing you will ever buy after your house. There are better seasons and slower seasons in trucking. Sometimes you make your goal numbers easy and sometimes you have to work more to reach them. However, regardless of how slow it gets in the last 15 years I have not seen anyone who is consistent with their work schedule and efforts not making enough to pay the bills. Some very large carriers who mostly specialize in providing transportation for a few big customers may be quite riskier when it comes to sitting without work. Surprise surprise… but I was only sitting without work for weeks while working on big name companies. If one of the big accounts gets slow they still keep you there for weeks or even months before sending you to a different account. All they care about is their multi-million dollar account and not about a bankruptcy knocking on your door. 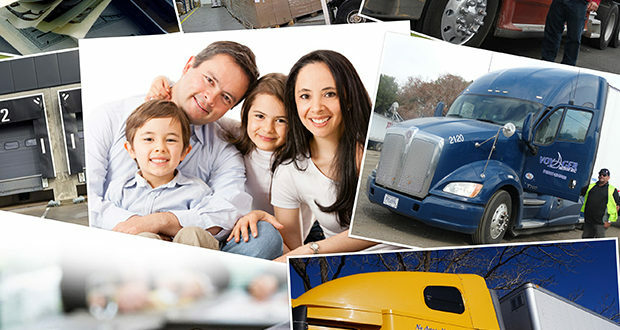 When you start your business, becoming an owner operator is a business, you need some flexibility. Most small to midsize companies are built on it just like you, they can not afford to sit around for extended periods of time, they have to move and make money. If one customer gets slow there are plenty of customers who are busy. And no it is not “burning bridges”, the service can be reestablished as soon as the freight is available again.